Linkedin Sales Solutions and FlipTop’s CEO Doug Camplejohn announced today that FlipTop has been acquired and will be joining the Linkedin family. Long Live the Cold Call! 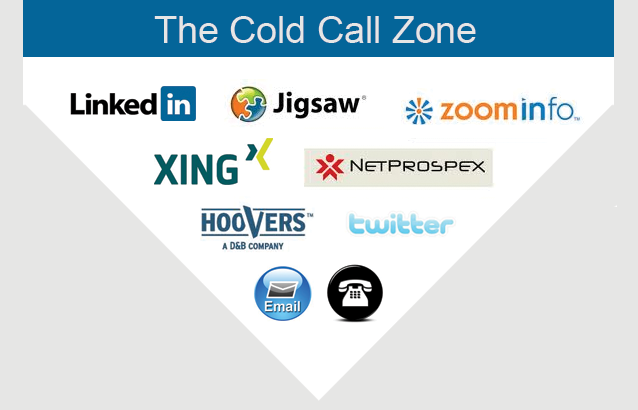 Listen Up people: cold calling is NOT dead nor is it going anywhere. I’m so sick of these wanna-be sales people writing all this garbage about how cold calling is dead. Frankly its because they have no idea what sales is all about. Yes, I’m going to say it: especially in silicon valley. You have all these brilliant people who are clueless about how to put in the work to generate their own new business. Things like how to prospect, make the calls, do the meetings, do the demos, SELL PEOPLE; aka following “the process”. I believe this is a major reason why so many silicon valley start ups fail. This said, let me not pick on silicon valley, this is an issue across the world in general. A cold call is simply reaching out to a prospect/lead that you approached rather than them coming to you. I call this Outbound Lead Generation or Outbound Prospecting. When a lead/prospect comes to you via a sign up, form submission, phone call, etc, I consider this an Inbound Lead. Generally its marketing’s job to generate Inbound Leads; some people call this activity demand generation. Some companies have businesses that generate a high volume of inbound leads based on various reasons. Companies like Google and Facebook have more inbound leads than they can handle. Other companies are not as fortunate and need to spend more time conducting outbound lead generation. Alot of the time start ups face this challenge. They need the “hunter-type” sales guy; as opposed to the order taking, business development manager that just waits for leads to come in or is more focused on “doing partnership/channel deals”. Now, cold calling today does entail utilizing the tools and technology that are available now; which makes it easier than ever! Today we have Linkedin, Jigsaw, Hoovers, email, Twitter, phone, etc, etc. In the past you had a phonebook and a telephone. Today you can prepare yourself better, use multiple entry points, like for example sending the prospect an email and then maybe a Linkedin message, even perhaps tweet at him/her; and then follow up all this with a good’ole phone call. This phone call might sound something like “Hey John, its Jorge from Mopub. I sent you an email this week trying to figure out who to speak with about mobile adverting topics etc. I know you’re pretty busy. Any idea who I can chat with about this stuff?” — My tone is low and slow at this point. I am trying to make sure that this person can understand me and not feel unnecessary pressure. Today’s tools allows a sales person to call on the right people with the right titles, easier, quicker, with more accuracy, and cross-multiple channel/platforms. Today we use email more than telephone, especially during the less important periods of a conversation. My first step is to always try to find that prospects email somehow and send them a short and concise note. Either way, whether I get in touch with the prospect or not via email, my key objective is to get on the phone with them or schedule an in person meeting. You will hardly ever close any meaningful b2b business without a phone call or in person meeting. As you can see whether you are picking up the phone or sending an email, these are all methods of cold calling. So keep up your cold calling its key to generating new business and being real salesperson.